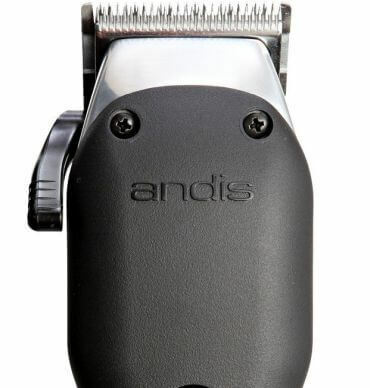 Andis are pretty famous for their huge portfolio of professional hair clippers. This year’s summer marked the release of a new generation of Andis barber clippers – the Pro Alloy. Marketed as something that will “change clipper technology”, the Pro Alloy XTR clipper is supposed to outshine classics like Andis Master clippers. Strong words indeed. But does it live up to the hype? Will it be able to establish itself as the new face of Andis barber tools? Join us for a thorough Andis Pro Alloy XTR review to find out. I will preface it with the fact that we included the XTR in our best barber clippers list. Andis Pro Alloy: the future of Andis hair clippers? No doubt about this Andis Pro Alloy XTR Review: the core feature of the Andis Pro Alloy clipper is its so called XTR technology. This is short for “Extreme Thermal Reduction”. What it really means for you is that you receive a hair cutter that stays 35% cooler and vibrates 20% less. If you’ve cut your own hair with clippers like Andis Master, you might have noticed something. They get hot, and they get hot a lot. Most professional hair clippers are like this due to their heavy-duty operation. For whatever reason, overheating was always a bigger problem with Andis than with other brands. It is always the biggest complaint among barbers, even ones that live and breath Andis, and finally Andis decided to do something about it. With XTR, though, Andis Pro Alloy opens a new window of opportunity for you. Less vibrations means a better grip – something reinforced by the Pro Alloy’s highly ergonomic body. Tough aluminum housing, coated with hard plastic on top. This is Andis’ way to ensure you get a durable barber-grade clipper that will last you for long. It is this new housing that also helps to keep it cool. The aluminum casing of the Andis Master for instance, allows the heat from the motor to transfer to your hand. Using this heavy duty plastic keeps the heat inside the clipper to keep you and your client comfortable. Speaking in terms of size, the Pro Alloy clipper leans on the bigger side of things. It weighs 1.38 lbs and measures 7.25″. A solid, heavier Andis barber clipper that lives up to what you would expect of a total beast. Sticking to their own approach to barber grade motors, Andis have furnished the Pro Alloy clipper with a high-speed, high-power magnetic motor. 7200 strokes per minute are twice of what you’d get with an Oster Outlaw, for example. Sheltered inside the metal housing, this beast of a motor powers the clipper’s carbon-coated stainless steel blade. It’s adjustable from #000 to #1, or 1/50″ to 3/32″ in terms of length. I’ve said this before: titanium-coated or carbon-coated hair clipper blades are superior to your usual steel blades. And out of those two, I’d much prefer the carbon ones. Andis Pro Alloy XTR blades are ready for high volume hair cutting and will glide through any type of hair. They aren’t as great as the Master’s blades (pictured below), but then again XTR is quite cheaper too. With Pro Alloy, you also receive nine attachment combs – from 1/16″ to 1″. Andis blade guard and clipper oil are also present in the kit you’ll receive with a one-year limited warranty. 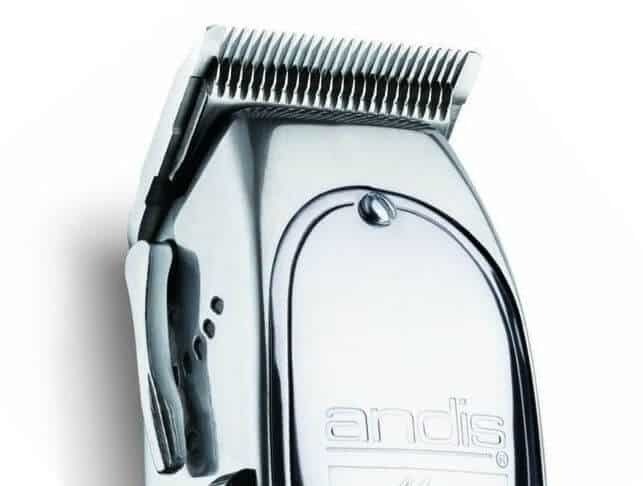 Andis professional clippers have also been more than potent for getting some fading action done. Andis Pro Alloy hair cutter doesn’t stray from this path. It’s still debatable whether it beats the Andis Master fade potential. We did a comparison between the two clippers, but it’d be interesting to see other people benchmark them too. Pro Alloy’s blades come with a beveled edge, which allows for smoother, free motions. While Andis Master is an already established champion, Andis Pro Alloy is yet to show what it’s capable of. I’m curious which one will turn out to be better hair clippers for fades. No doubt about it: Pro Alloy XTR improves on similar niche Andis Master hair cutter’s severe heating problems. Sure, it will get warm to the touch eventually, but you will have to work with it for quite some time. At least compared with how other professional hair cutting machines behave. At the same time, though, it can’t help but be a bit noisy. The noise levels aren’t as high as powerhouses like the Oster classic 76. Yet you won’t have this Andis barber clipper “humming” for you. It will be a bit loud. Then again, that’s how professional hair cutters are usually. Any clipper with an electromagnetic motor will make that click clack sound no matter what. Just some are louder than others. If the noise really bothers you, you have to go with a rotary motor clipper. Perhaps because it’s next generation, Andis Pro Alloy XTR also doesn’t seem to “inherit” some older blade guards properly. I suggest you switch to the newer single magnet Andis Nano on Amazon.com if you are willing to pay the extra. These purple wonders are admired as the best Andis guards out there and will really beat any stock guards you receive with your clipper purchase. At their core, the Andis Pro Alloy hair clippers are professional tools. They’re not as simple to use as the beginner-friendly Remington HC4250 Shortcut Pro, for example. I’m not saying you won’t cope with this model if that’s your first hair cutter. But you will need to practice and learn a bit. That said, I feel the Pro Alloy XTR is a tad easier in terms of operation in comparison with the Master. And the learning curve is a reasonable exchange for the amount of power and opportunities you get with professional hair clippers. I’d say Andis did live up to the expectations with the Andis Pro Alloy. It’s a professional clipper, priced moderately (bearing in minds its features). In time we’ll see whether it outperforms the Master in all aspects except for the innovative XTR technology. i’d definitely say that it performs better compared to the master if you think of the overall feel. i mean, how the grip feels with that coating on top, the heavier body, stuff like that. no need for cooling sprays either so far. the motor is not as good, tho. better than a fast feed, but not better than seniors or the masters. i’m a barber and pair it up with the master – the master gets the bulk cuts done. the alloy is for some fades/detailing on the sides. the price is great tho. definitely a purchase i’m happy with.